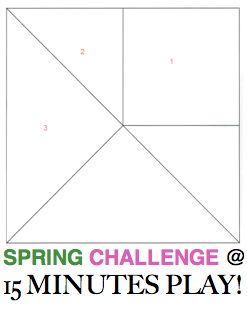 15 minutes play...BumbleBeans Inc.: SPRING Challenge! Here we go! A new challenge!!! SPRING!!! I am purposefully not showing you MY PLAY, as I want YOU to be inspired and find your own path… These are the bones of the new challenge… Your job is to push the limits and change at least ONE thing about this block and make something related to spring... Read on. 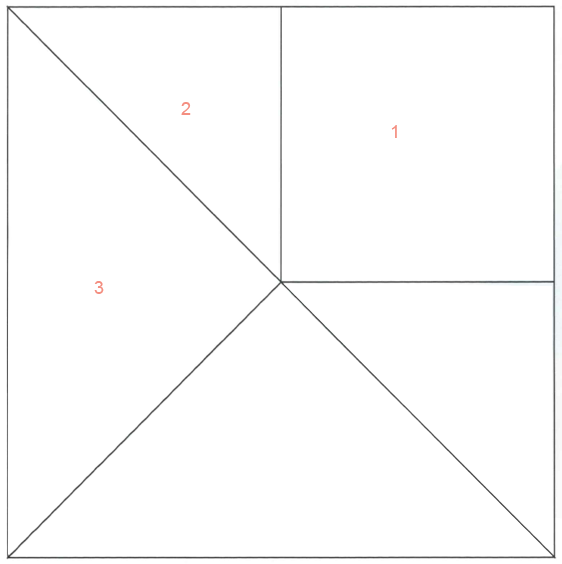 #2 - Cut 3 7/8" square and cut once on the diagonal for 2 triangles…. 1. MUST Include "Made fabric" somewhere in the block. 2. How can you take this block, and change at least ONE thing about it? Can you adapt the blocks? Can you change the sizing? Can you turn the blocks on point? Can you add to the block? Can you change the block design subtly? Can you play with the quilting? Can you add a new technique that you haven't' done? Can you turn it into a medallion? Can you use this as a starter element and make it into something even grander? These are all ideas to start pondering and playing... how you can turn this block into a SPRING themed quilt. 3. Any size.. mini, or larger… no limit...Whatever inspires you! 4. Post your work and progress here! Show us what your doing! That's what we love about this site. LABEL your posts as "SPRING CHALLENGE"
I will find some prizes to give out at the end for a few pieces… Just to keep it extra fun! oh yes! I have some ideas already! This sounds really interesting - count me in!! This sounds fun. I like that you haven't shown us yours. I'm in! Yes, yes - I am in. I have just rearranged my pile of greens and nothing says Spring like the color green. I assume you want completed projects by June 1 and not just blocks ... is that right? Even though I don't finish every one, I can never resist your challenges. I'm in for Spring!! Yay! I have just finished quilting something with a March due date, and have promised myself some "just for fun" sewing this weekend. This is gonna be it! First time participating in a Challenge so I'm glad this can grow as far or as little as the inspiration takes me. Here goes...I'm jumping in...No going back...Splash! I am ready for a new challenge! This looks so much like the Kusa Dogwood block I designed years ago. Just have to make it up now! Just posted my 15 minutes of play on this idea to the Flickr group. Fun! I'm in, too, it's time to get back to some play! This does look like fun. I'll try my best to complete a small project. I guess a table topper would be okay for this block. Since my word for the year 2014 is "release", I guess I'll have to release my hangups about which fabrics go with which and be uninhibited when deciding what to do on this block. Sounds like fun. I am so ready for spring....this fun challenge will surely bring it on. I'm in.